In Colorado, there were more bicycle accident fatalities in 2016 than there were in the previous 14 years. Educating cyclists and motorists alike can help prevent bicycle accident in our communities. Spring is a popular time for bicyclists to take to the roads in Colorado, and the state is home to some of the most scenic roadways in the world. 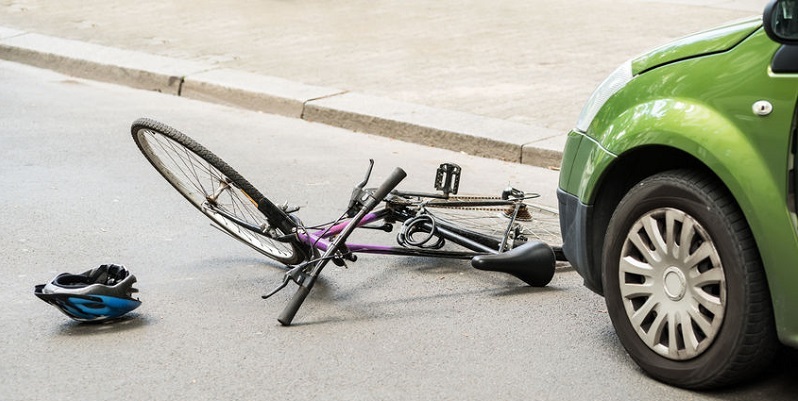 But the high traffic prevalent throughout Colorado can also lead to injuries for bicyclists, particularly when they are involved in collisions with motor vehicles. Bicyclists traveling below the speed limit are required to ride in the right-hand lane unless they are preparing for a left turn, overtaking a slower vehicle, or avoiding road hazards. Bicyclists must signal their intention to stop or turn and must yield the right of way to a pedestrian and give an audible signal before overtaking and passing a pedestrian. Motor vehicles must stay at least three feet away when passing a bicyclist. Lighted lamps are required between sunset and sunrise, and any other time when visibility is less than 1000 feet. Some state laws are superseded by municipal ordinances, so it is important that bicyclists understand the laws of the community in which they are riding. Motorists may not see bicyclists because they are small vehicles that often blend into the background. Many bicyclists are not familiar with the rules of the road that they must follow at intersections. Motorists and cyclists do not always take extra precautions at intersections to prevent bicycle accidents from happening. When two vehicles approach an intersection and there is no traffic signal, the vehicle that arrives first typically has the right of way. If both vehicles get there at the same time, the vehicle to the right has the right of way. If the intersection consists of a major street and a minor street, traffic on the major street has the right of way. When a traffic signal is present, the signal determines the right of way, although at times the sensor may be unable to detect the presence of a bicycle. If this happens, the cyclist should move closer to the sensor, wait until it is safe to cross against the light or cross at the crosswalk. Familiarize yourself with the traffic laws where you are riding. Be visible, particularly when riding at night. Try to ride consistently and not erratically. Don’t ride on the sidewalk unless it is permissible to do so. Stay aware of your surroundings at all times. Always ride with traffic, not against it. The greatest fear most people have about riding a bicycle is getting injured in a collision with an automobile, and for good reason. In 2013, more than 900 bicyclists were killed in collisions in the United States, and bicycle-related injuries accounted for 494,000 visits to hospital emergency rooms, according to data compiled by the U.S. Centers for Disease Control and Prevention (CDC). I was in an auto accident and had no health insurance. Dan got me in to see a doctor to start getting better and helped get me a car rental while my car was getting fixed. If I’m ever in an accident again I will definitely go back to the Law Offices of Daniel R. Rosen.